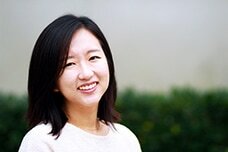 Jiwon Lee is a Ph.D. student specializing in Learning, Teaching, Cognition, and Development (LTCD). She received her bachelor’s degree from the University of California, Berkeley and her master’s degree (Ed.M.) in Learning and Teaching from Harvard Graduate School of Education. Her experiences in teaching mathematics to students in grades K-12 and doing research at the Center for Education Policy Research at Harvard inspired her to pursue doctoral studies. Her research interests are in mathematics education, teacher learning and development, and the use of technology and classroom videos to improve instruction.